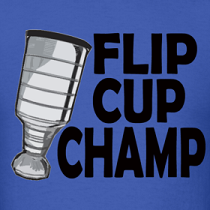 Dirty Dangle Hockey: What Ever Happened To Mike Legg? What Ever Happened To Mike Legg? Mike Legg is famously known for his lacrosse-style goal during the 1996 NCAA Tournament quarterfinals against Minnesota...and that's about it. The goal he scored as a University of Michigan Wolverine garnered international attention and Legg's fame spread earning him appearances at the ESPYs and "Goal of the Year" by Inside Hockey. Most hockey fans can replay the goal in their head as they've been shown it so many times on highlight reels - it truly was something most hockey fans had never seen before. Legg and his Wolverines would go on to win the game 4-3 and advance to the Frozen Four, with many players and opponents crediting the goal as turning the game's momentum in Michigan's favour. That 1995-96 U. of Michigan team featured some future NHLers, including Brendan Morrison, John Madden and Marty Turco, but Legg never made it to the Show. 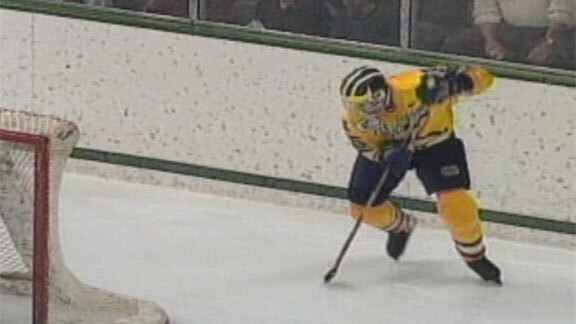 An almost point per game player with the Wolverines, Legg would help Michigan win the NCAA Tournament that year including scoring the game-tying goal in the third period of the Finals against Colorado College. ESPN's Page 2 interviewed some of the players surrounding the goal and tournament, and revealed some pretty cool details surrounding the highlight. Legg was drafted by the New Jersey Devils at the 1993 NHL Entry Draft (yes the Daigle draft), at the 273rd overall position, but couldn't Zetterberg his way into the NHL. After his time in the CCHA, Legg would bounce around in Finland and U.S minor leagues before calling it quits in 2003. As of last year, Legg was a firefighter in the Vancouver area - maybe the 2011 Stanley Cup Riot brought him back into the hockey foray for a night? One of the most creative goals I've seen... wish I could watch that interview video but not right now. He is the first guy I have seen do that move, that was a right handed shot. I can't believe he played in RHI. he dominated the WPHL... which I actually had to look up... Western Professional Hockey League apparently! Almost forgot what that guys name was.